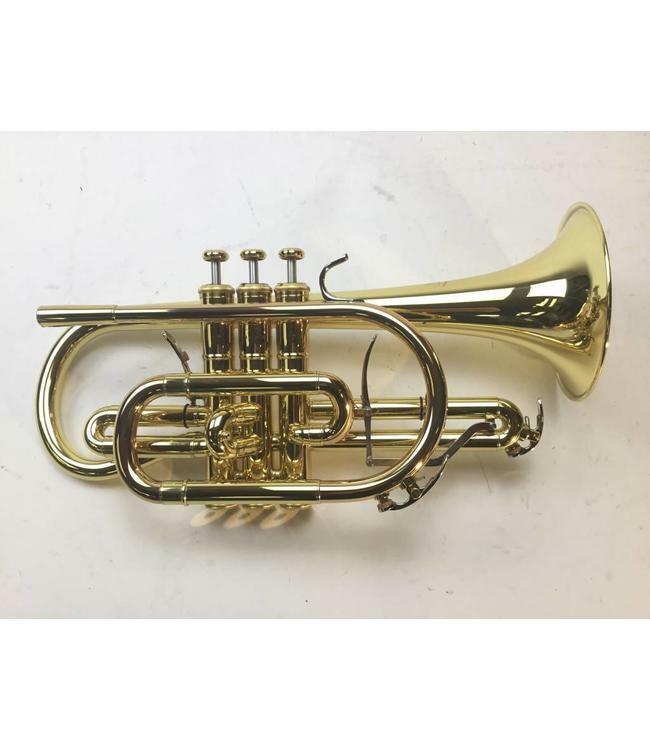 Used Yamaha YCR-8335 Neo Bb cornet in lacquer. Instrument is in very good condition with surface scratching and evidence of bell repair. No case.